iDate Agency Convention (Kiev) brings together a network of professionals from online dating management, software, venture capital, marketing, payment processing, publishing industry and others. As this will be an exciting weekend in Kiev with the majority of the industry present, the convention is a an excellent opportunity to get your product or site seen and attract new interest. ++ - Staff is defined as company employees only. External suppliers, consultants, customers, etc. are not considered staff. 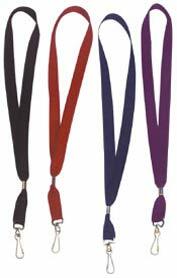 *Sponsor is responsible for the cost and production of the lanyards. Note: Sponsorship does not include a pass to the event. - Sponsor provides custom printed Badge Holder to use for all name badges. *Sponsor is responsible for the cost and production of the badge holders. Sponsorship does not include a pass to the event. - Sponsor provides custom printed Badge Insert to appear above badges. *Sponsor is responsible for the cost and production of the badge inserts. - Sponsor provides Bags with their company logo to hold all conference materials and be distributed to all delegates at the event. *Sponsor is responsible for the cost and production of the bags. - Sponsor provides pens and pads to be distributed on all tables during morning and afternoon sessions. *Sponsor is responsible for the cost and production of the pens and pads. - One (1) Item for distribution in all delegate bags. - Sponsor provides company literature along with a welcome gift to be distributed into those that have hotel rooms at the conference hotel. - Sponsor provides custom printed room keys (Hotel will provide room key specifications). The sponsor's room keys will be distributed to to all hotel guests during the event. Click here to see sample FRONT and BACK of a custom printed hotel room key. Final Design of the room key needs to be approved by the Hotel and must have the hotel logo on it. *Sponsor is responsible for the cost and production of the room keys. Manufacturer(s) contacts will be provided. - Signage at Event - Seminar Room and Registration Desk. - Advertisement in our Online Convention booklet. - Full page text description of company in Online Convention brochure. - Logo on Every page of Conference 2019 Kiev website. - One (1) Full Conference Pass to the event for Staff. - Transmit graphics, video clips, sound files and short text messages to participating members at the event. - Advertisement in Online Convention booklet. - 468x60 Animated gif Banner ad on rotation on the website. - Full Page advertisement in Online Convention booklet. - Allowed to provide custom glasses for final session. *Sponsor is responsible for the cost and production of the beer glasses/mugs. - Allowed to distibute materials in the lunch room. - Allowed to place signage in the lunch room (on center of tables and standing banners in room). - Allowed to place signage adjacent to the refreshments in the exhibit hall (on center of tables and standing banners). - Official sponsor and provider of the Conference 2019 Kiev DAY ONE PARTY. - Online Brochures are accessible for all conference attendees. - Online Brochures are available for all conference delegates. - 468 x 60 pixel banner advertisement to appear on both the iDate Website and Online Dating Industry Message Boards. - Advertising rate on left is for a 3 month minimum period (USD $250/Month). - Banner is set to rotate. - PPT size advertisement in Online Convention booklet. - One (1) One Page full color advertisement on the final slide of online conference booklet. Click here to see a SAMPLE of the online Seminars with Advertisment. Sponsor Dominates online powerpoints with NO other advertisers present. Sponsor Dominates CD with NO other advertisers present. - One (1) Full length advertisement/logo to appear at the beginning and end of keynote speaker's ppt that is shown online in online brochure. Sponsor Dominates Online Brochure presentation with NO other advertisers present. 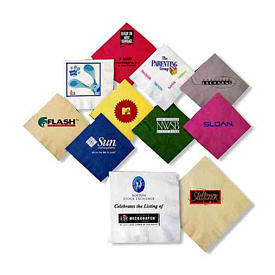 - Sponsor provides custom printed chair covers to be placed over all seminar, exhibit hall and banquet chairs. Click here to see a SAMPLE of a chair cover with Advertisment. Note: Sponsor is responsible for costs and production of the chair covers. - Sponsor provides custom printed napkins to be distributed at all coffee break tables as well as lunch for both days. 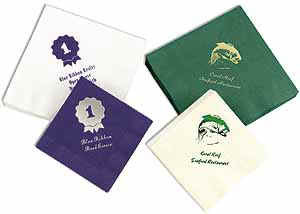 Click here to see SAMPLE #1 and SAMPLE #2 of a cutom printed napkins. Note: Sponsor is responsible for costs and production of the napkins. - Sponsor provides custom printed tablecloths to be used for lunch sessions on both days. - Tablecloths must be able to cover 8' diameter round tables. At least 60- must be provided. Note: Sponsor is responsible for costs and production of the tablecloths. - Sponsor provides custom printed tablecloths placed over each of the delegate tables in every seminar room. - Every person attending the seminars will place their items and write on the tables. Your logo will be seen on every table. - Table dimensions are either 6' x 2' or 8' x 2'. Quantities will be approximately 60-100 table cloths. - Allowed to use our mailing list for a one (1) time mailing to the industry. Mailing list consists of over 4000 individuals that are online iDate Agency Convention executives. - A one (1) time e-mail to be sent out to industry executives. Over 17000 emails (including bounce-backs) are in the list. Approximately 85% are sent with the individuals name in the subject line.